After having started twice for her fifth patrol, and been forced to return to Brisbane because of major breakdowns, S-39, under Lt. F. E. Brown, once more was faced on 7 August 1942 with the necessity for heading toward land. Her Executive Officer was put on the sick list on 5 August, and two days later his condition warned of the development of pneumonia, so Brown asked for instructions and was directed to proceed to Townsville, on the northeast coast of Australia. On 10 August in the smooth waters of Townsville harbor, the officer was transferred for further medical treatment, and S-39 once more got underway for her patrol area off the southeast coast of New Ireland. In the night of 13-14 August 1942, S-39 struck a submerged reef off Rossel Island in the Louisiade Archipelago. The ship took a list of 30 to 35 degrees port and was jolting heavily due to heavy following seas breaking over the deck. Backing the screws had little effect, even after all possible fuel and ballast tanks had been blown dry. The ship began swinging broadside to the sea and was being washed farther up on the rocks, so all fuel and ballast tanks were again flooded to hold her steady. At high tide on the morning of 14 August the screws were backed and twisted until the low voltage limit on the batteries was reached. The ship backed about fifty feet, but again listed about 30 degrees to port and pounded heavily on the rocks. Ballast tanks were ruptured by the rocks and they were again flooded in an effort to ease the pounding. In the afternoon word came from Australia that HMAS KATOOMBA would arrive on the following morning to lend aid. Throughout the day breakers 15 to 20 feet high broke over the ship. Efforts were made to charge the batteries, but several cells had been reversed and only the after battery could be charged. Shortly after dawn on the 15th, the torpedoes were inactivated and fired. Again Brown tried backing on the after battery, but the screws were too high; they had little effect. With the termination of backing efforts, the ship rapidly rolled over until the list was 60 degrees port. Fearing that the seas would roll the ship entirely over, the Commanding Officer gave permission for anyone who desired to swim to a nearby reef, although he was not ready to abandon the ship. No one ventured into the water, but Lt. C. N. G. Hendrix volunteered to swim to the reef with a line and then to haul the two mooring lines to the reef as a riding line for the rest of the crew. When Hendrix had gained the reef and was having a difficult time with the lines, due to the seas, W. L Schoenrock, CCStd (PA), offered to swim ashore and help. The two men pulled in the lines and secured them to one of the torpedoes, which was resting on the reef. Thirty-two men reached the reef via the line, and twelve remained aboard when HMAS KATOOMBA arrived shortly after noon. By 1000 on 16 August KATOOMBA's boats had made three trips to shore and all hands were safely aboard the ship. 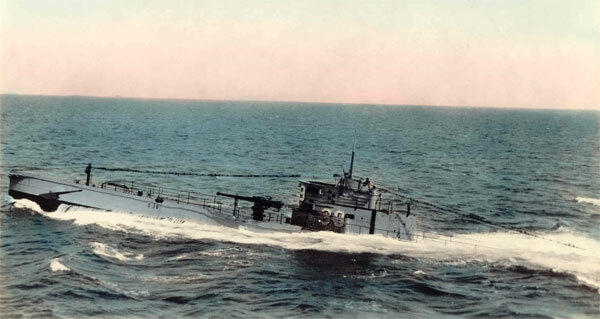 It was felt that S-39 would soon be broken up by the pounding seas, and no attempt was made to shell her from KATOOMBA. 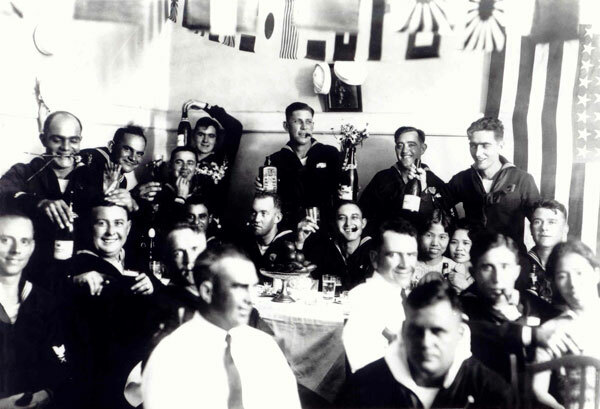 The S-39 crew members arrived in Townsville, Australia on 19 August 1942, and were assigned further duty on other submarines. S-39's first war patrol was conducted east of the Philippines and resulted in the loss to the enemy of a 5,000 ton freighter. On her second patrol, she reconnoitered Tablas Strait and Verde Island, in the Philippines group, but made no successful attacks. During February and March 1942, S-39 patrolled an area in the South China Sea and sank a 5,000 ton tanker. Her fourth patrol, made in the Solomons, resulted in no enemy contacts for S-39. See also Ed Howard's Final Patrol page on USS S-39 (external link).